Now that we’re finally in the house, we’ve slowly but surely been adding our little touches to make it feel like a proper home. It’s definitely becoming my favourite part of having our first home together! One of the rooms that’s very nearly “finished” is the kitchen. The new fridge is an absolute dream, with a plumbed in water & ice dispenser, and we’re finally able to get a food shop in and cook some proper meals. After oiling the oak worktops a few times, we were mostly excited about being able to unpack Mat’s Sage by Heston Blumenthal Barista Express Coffee Machine. 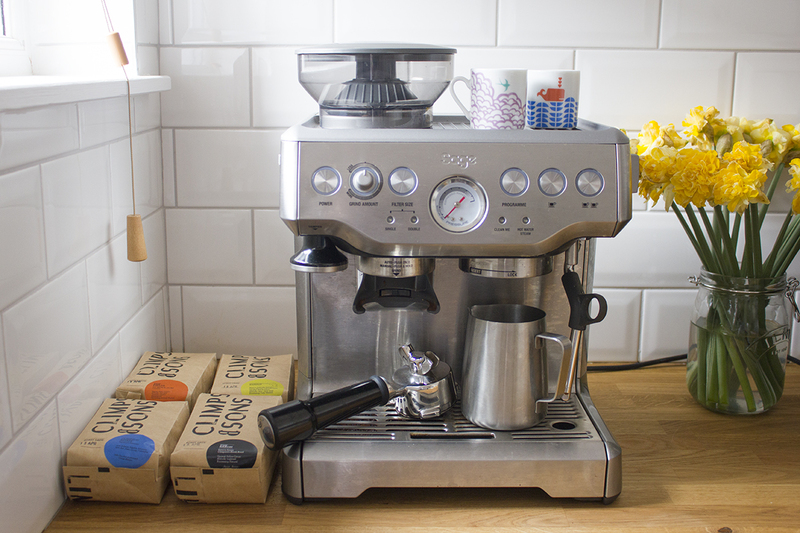 We’re both huge fans of fresh coffee and this baby makes a cracking espresso. I’m planning on doing a full post about the different ways we brew our coffee, for both big spenders and those on a tighter budget, so do let me know if this is something you’d like to see! After a brief & disappointing fling with supermarket ground coffee, we’ve also been able to start up our coffee deliveries again. 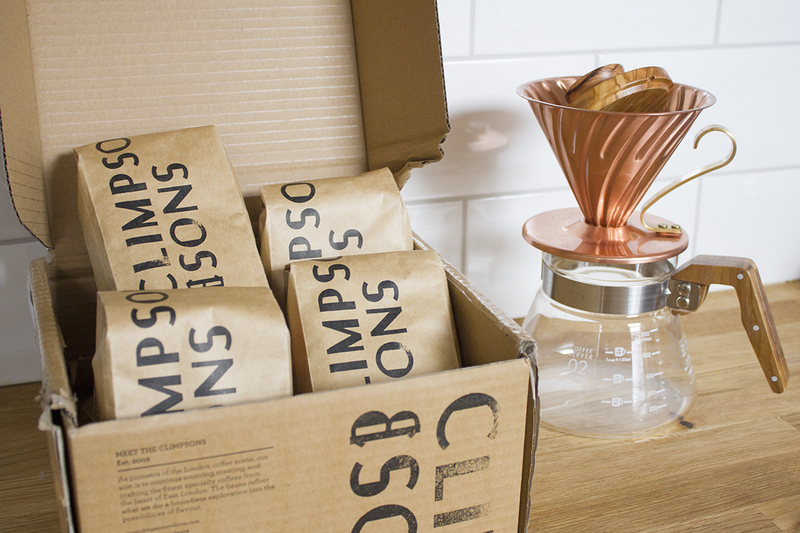 We’ve previously used Pact Coffee, who have a great, affordable coffee subscription, but our absolute favourite is Climpson & Sons. We’ve used their subscription service before, which is faultless, but this time we decided to order their Espresso & Blends Sampler Pack. I actually originally discovered them after buying some coffee beans from one of my favourite coffee shops, Fig & Sparrow, and falling in love with the freshness and quality. Fresher coffee always tastes better, which is why you’ll find the coffee at places like Starbucks so bitter in taste. Climpson & Sons always send us beans with a roast date of no more than two weeks earlier, so we know that it’s as fresh as it can be! There’s truly nothing that helps me feel more at home than a freshly brewed cup of coffee in the morning before work. It’s a part of my daily routine that I’m thrilled to have back. If you’ve ever packed up all of your clothes and moved them into a house with little to zero storage, you’ll sympathise with me on this. I have suitcases full of crumpled clothes and garment bags shoved into the corner of my office. Chaos. 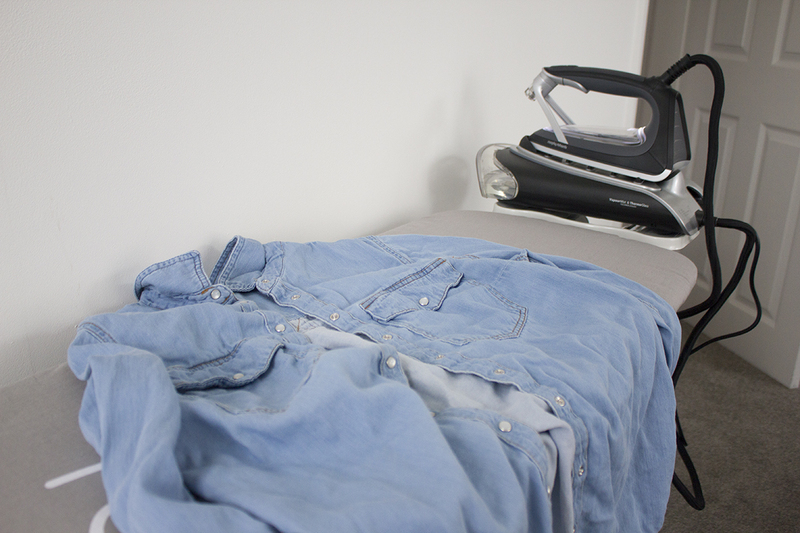 When Morphy Richards asked me to try out their new Redefine Atomist Vapour Glass Iron*, I was understandably excited to give it a go and finally have some crease-free clothing once again. 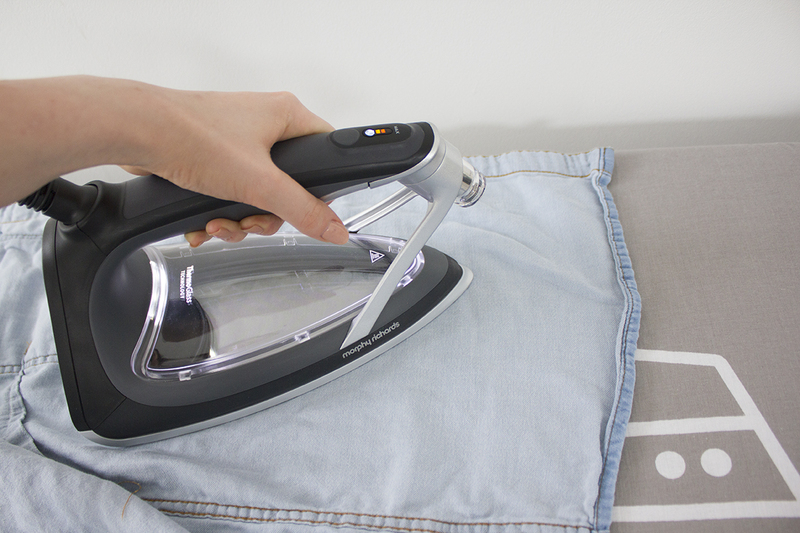 Not only does this iron look so much more sleek & stylish than any other iron I’ve ever seen before, it’s also just as good as a steam iron at powering through creases. Thing is though, it uses 75% less energy and 80% less water than a steam iron and like a good pair of straighteners, it also shuts off after 10 mins of not using it. 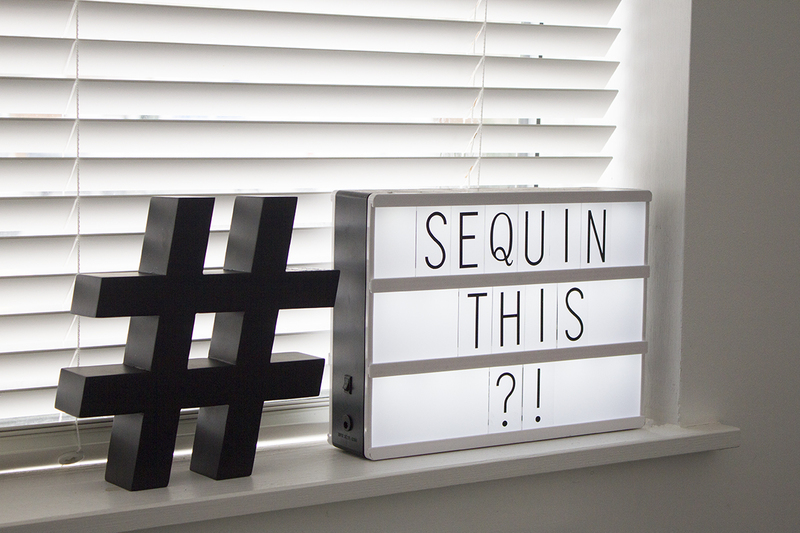 Handy if you’re quite forgetful like me! I’ve never had such a luxurious iron before, but it’s made getting all of my clothes unpacked and ironed much less stressful than struggling through the job with a cheapy one. If you’re ready to fully adult, then I would definitely recommend making the investment. Top tip: Head to the Morphy Richards website and use the discount code ATO25 to get 25% off the Atomist iron. Or you can get 20% off the Redefine range on their offers page here. 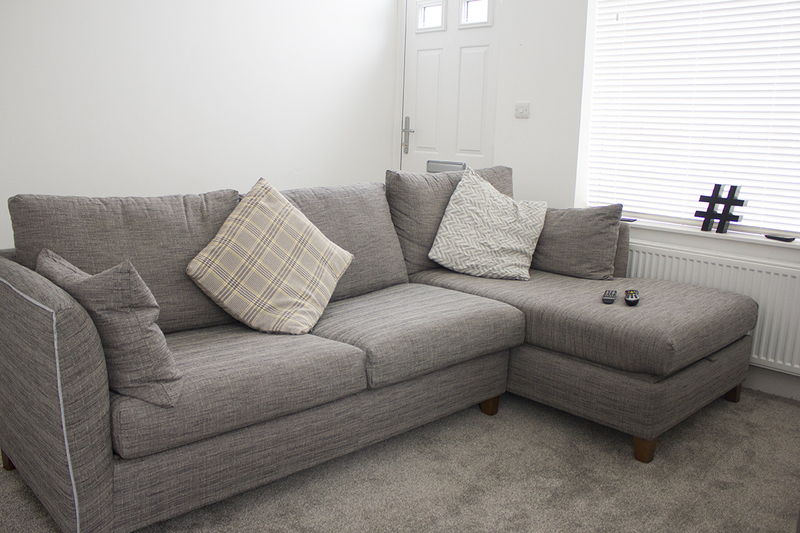 I haven’t had chance to properly style this yet and I definitely maybe grabbed the cushions from my bed, but this weekend we took delivery of our brand new sofa!! After a day of sofa shopping in all the usual suspects and feeling hugely disappointed at the selection on offer, we decided to make a trip to the Made showroom in Liverpool. Although it’s a tiny place, we fell in love with the Bari Corner Storage Sofa Bed in ‘Malva Graphite’ and went straight home to purchase it. We lucked out with the short dispatch time and only had to wait 6 days to have it delivered. It really did take all of the stress out of ordering a sofa. I spent a good portion of my weekend lounging around on it and can confirm that it’s worth the money. If you’d like to read about my house renovation journey & progress, please check out my dedicated section on the blog for more posts. Disclaimer: Items marked with “*” have been gifted to me as PR samples, but all thoughts & opinions are my own.